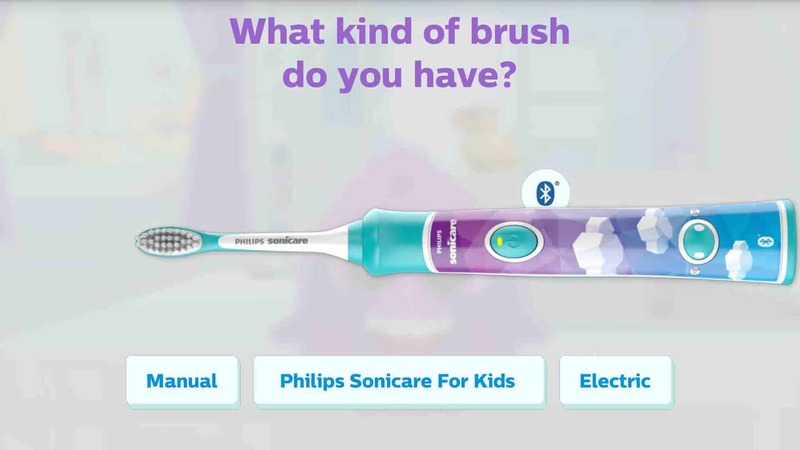 If you are short of time, the answers to the following 3 questions should let you know all you need to about the Sonicare For Kids Connected electric toothbrush (HX6322/04). If we have missed something, let us know in the comments. 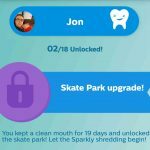 If you want more detail, you can read our full Sonicare For Kids Connected review further down the page. No. As far as I am concerned, this is the best electric toothbrush for children. 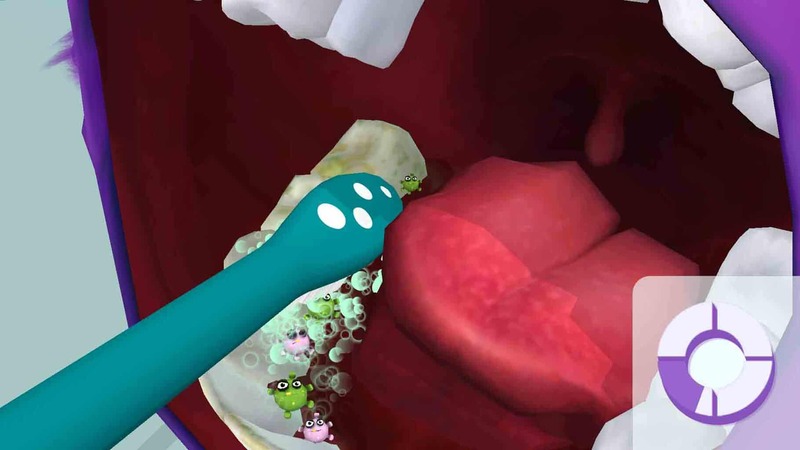 It offers a fantastic clean, is interactive and offers the encouragement that is required to get kids brushing their teeth. 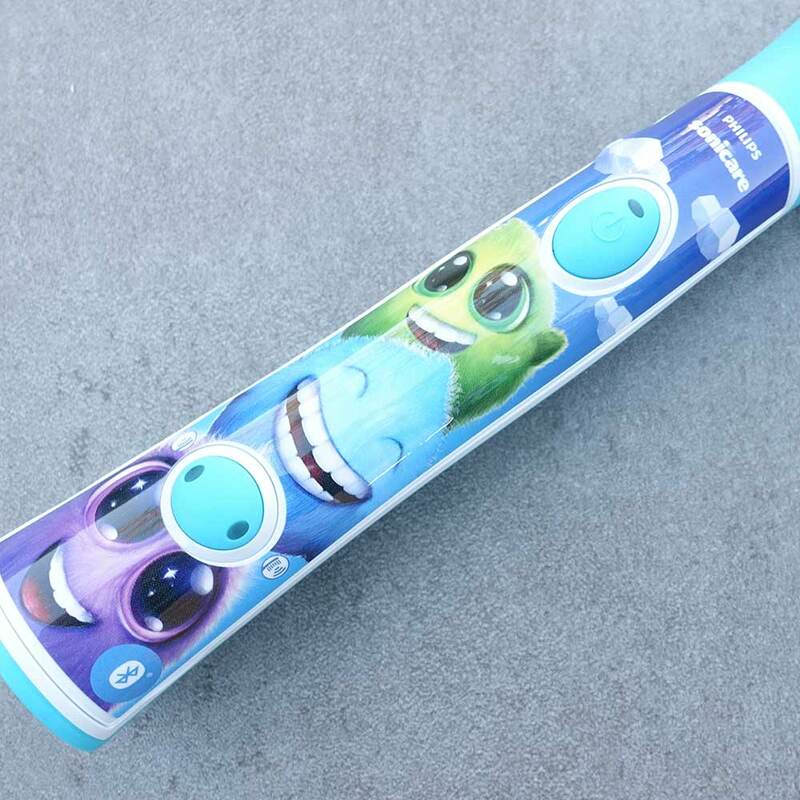 If you want the best electric toothbrush for kids then this is it. However, it is a more expensive option and there are several brushes that could be considered. The first of which is the Sonicare For Kids electric toothbrush. This is essentially the same as this brush being reviewed, but it does not have the Bluetooth connectivity, so no associated app. It offers the same great clean, but it is cheaper. Oral-B Stages Power range of brushes would be my other recommendation. 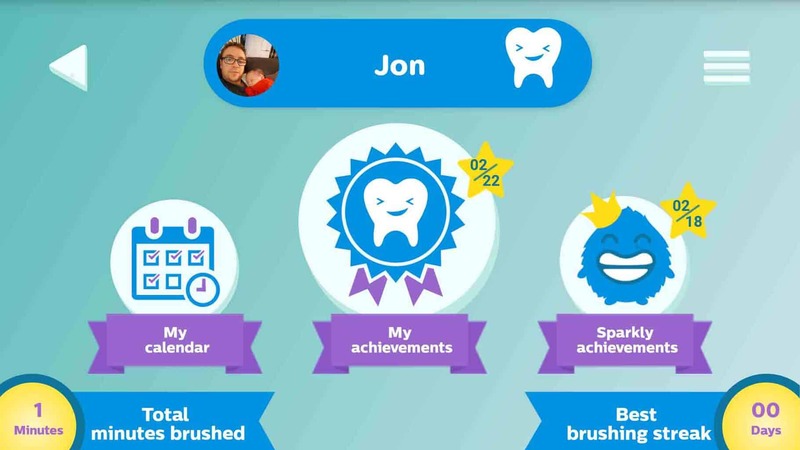 Sadly, there is no Bluetooth connectivity, but there is a similar level of interaction and focus on achieving the best brushing routine for children. There is too a benefit in that it is cheaper. 3. 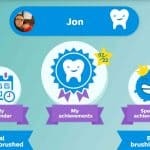 Where is the best place to buy the Sonicare for kids connected? This brush is stocked by a number of larger retailers. You can buy it online, direct from Philips themselves. Amazon is often the store with the best price and quickest delivery, but you can too purchase it from Boots and John Lewis. It’s always worth checking out eBay, too. 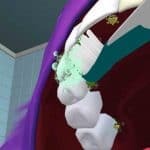 Below are the Amazon links to the Sonicare For Kids Connected and the two brushes we would consider alongside it. With the interactive and connected world that we now live in, children are more demanding. They have higher expectations of interactivity, the stories and encouragement that is in place to achieve something that does not come naturally to them. I am sure you are all too familiar with the challenge of getting your children to brush regularly and correctly. 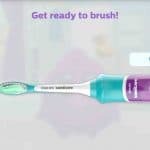 Well thankfully Sonicare are here to alleviate a lot of the troubles you will have been having with the Sonicare for kids connected toothbrush, that uses Bluetooth connectivity and a smartphone app to get your beloved offspring brushing their teeth perfectly. The Sonicare for kids range at the time of writing includes 2 brushes, the one I am reviewing here which is the HX6322/04 and the Sonicare for kids (non connected), model number HX6311/17. The HX6311/17 does not have the Bluetooth connectivity, has 1 less brush head in the box and slightly different stickers. It is cheaper too. 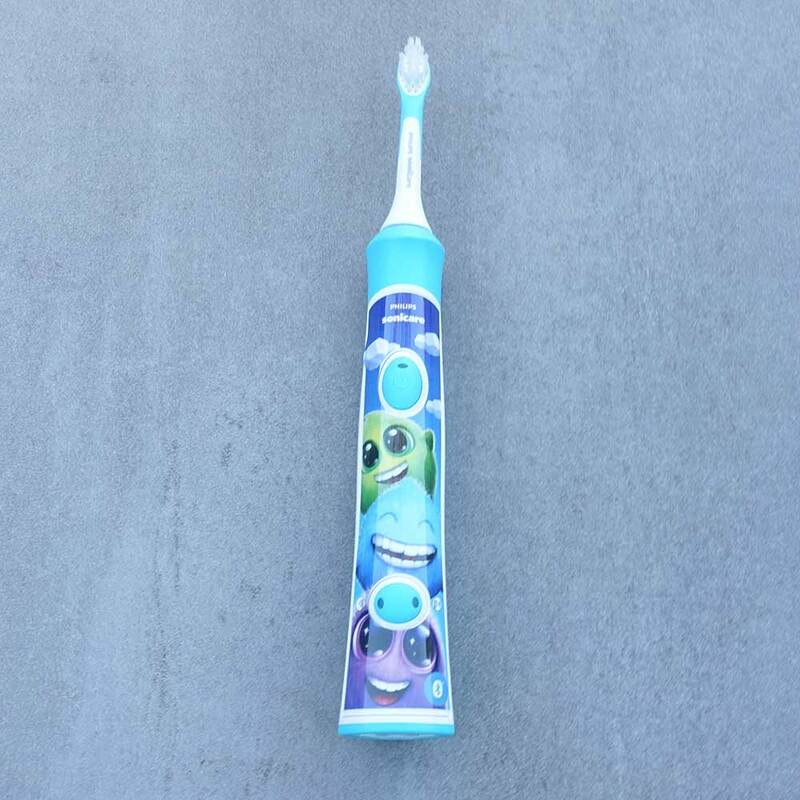 Click here to read my Sonicare for kids (the non connected version) electric toothbrush review. Design – Grippy and appealing with the stickers included. 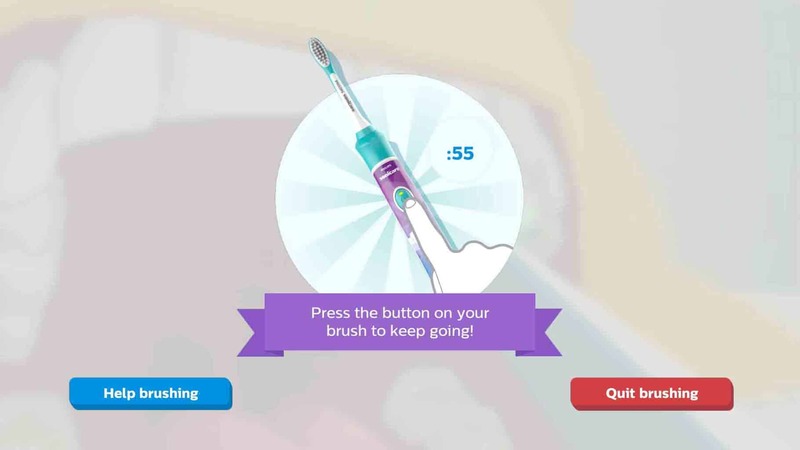 Timer – Built in timer with pacer to encourage brushing for the right amount of time. Automatic power off – The brush turns off automatically at the end of a 2 minute cleaning cycle. Battery status – An LED that gives some clue to the battery charge levels. Battery life – Fantastic battery life of up to 3 weeks. No indicator bristles – No fading bristles on the brush head. No travel case – No travel case included, just a small travel cap. Price – You have to pay for the benefits that you get. Make no qualms about it, this brush is geared in terms of design for kids. 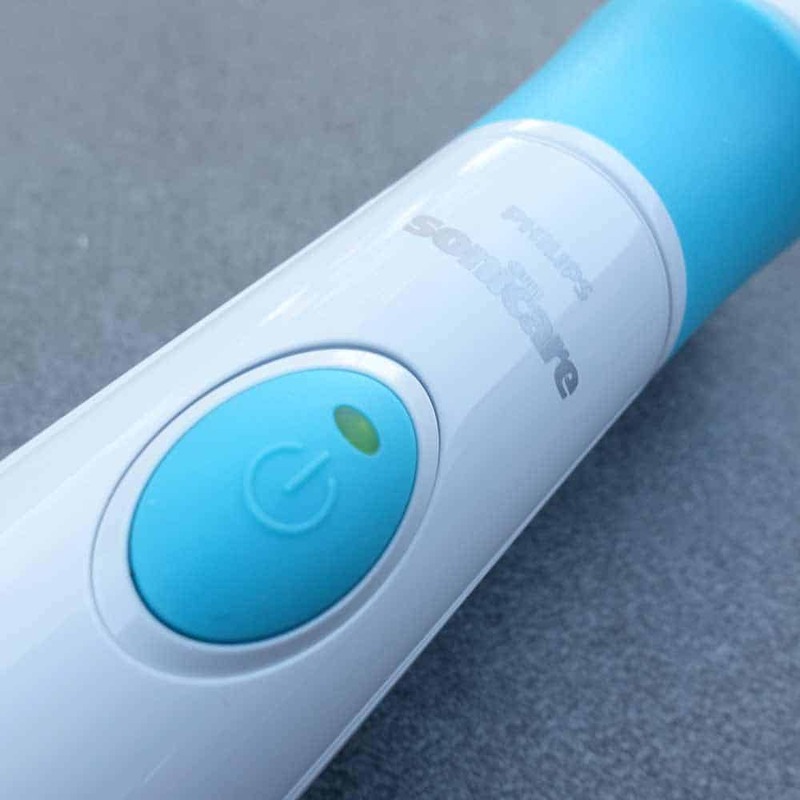 Where electric toothbrushes tend to be finished in White or have soft pastel shades, the Sonicare for kids connected brush employs much bolder colours, the primary being being Green (Aqua as Sonicare call it) and White, although that White is limited when a sticker is applied. A nice unique element to this brush is the ability to add stickers to the brush handle and personalise it further to make it more appealing to your child or children. More on this in a minute. 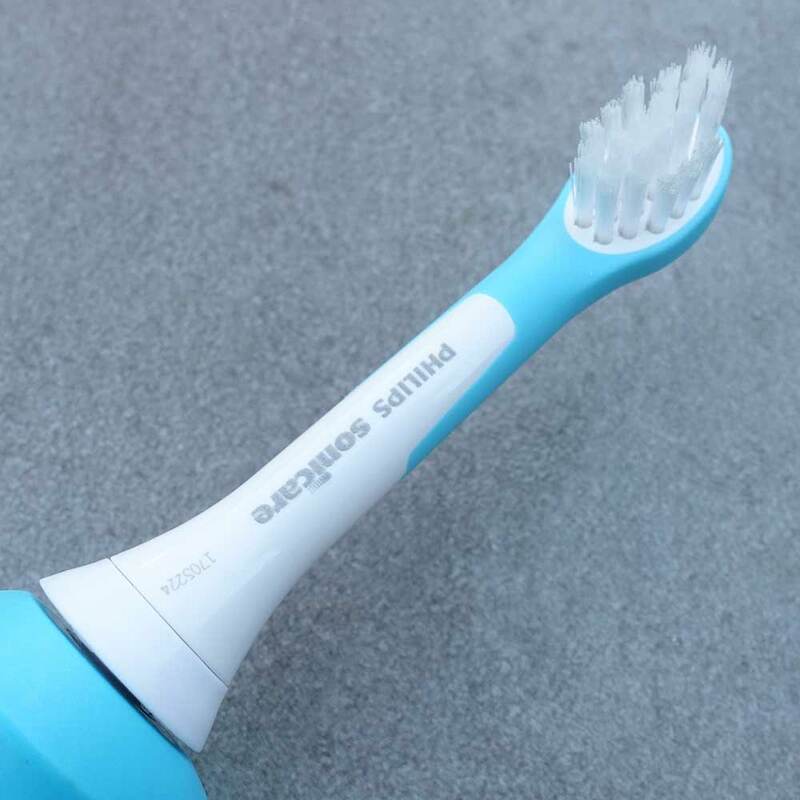 The overall shape and size of the brush is fairly typical of what you might imagine for an electric toothbrush, whilst the handle is not completely round it is loosely shaped like this. 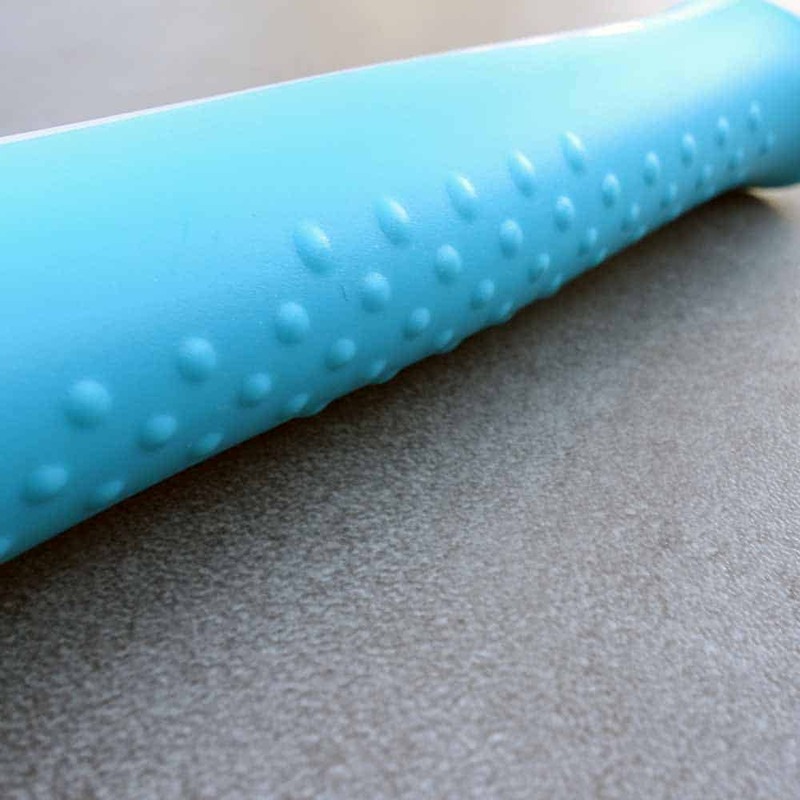 The back and sides of the handle are this Turquoise/Green colour, with the rear having a large number of raised dots that run down from the top to the bottom in essentially 3 rows, with each dot staggered in its positioning. About halfway down the handle a further 2 rows of 5 dots are added to widen the gripping area in line with where the fingers tend to naturally fall. At the neck of the brush on the rear is a slight protrusion which looks a bit odd in its shape, but it actually designed so that when the brush is laid flat, it will not roll. When looking at the handle side on, you notice that the middle of the grip bulges ever so slightly too, to make it a little larger in hand. This works for kids and grownups alike and is particularly useful when hands are wet. The base of the brush is wider in design, giving a solid base on which the brush can stand upright. The handle slims as you move up to the neck, the point at which the brush heads attach. On the front are 2 prominent Green buttons that are convexed. The top button is the power button, whilst the lower button is the cleaning modes. I will explain what they do in more detail shortly, but both have LED lights built into them and a good tactile and clicky response. Surrounding these buttons and dominating the front of the brush is a White panel, which is a gloss White and smooth to the touch. The idea is that you stick one of the 8 stickers provided to it. Attaching the stickers does away with the expanse of White and will make that front panel much bolder and colourful. Once fitted this gives the brush more of a personalised and child friendly theme to the bush. These stickers can be easily pulled off and replaced. 28 extra stickers of Sparkly, the character from the app are also provided, in various sizes. Kids may want to stick these to other things. 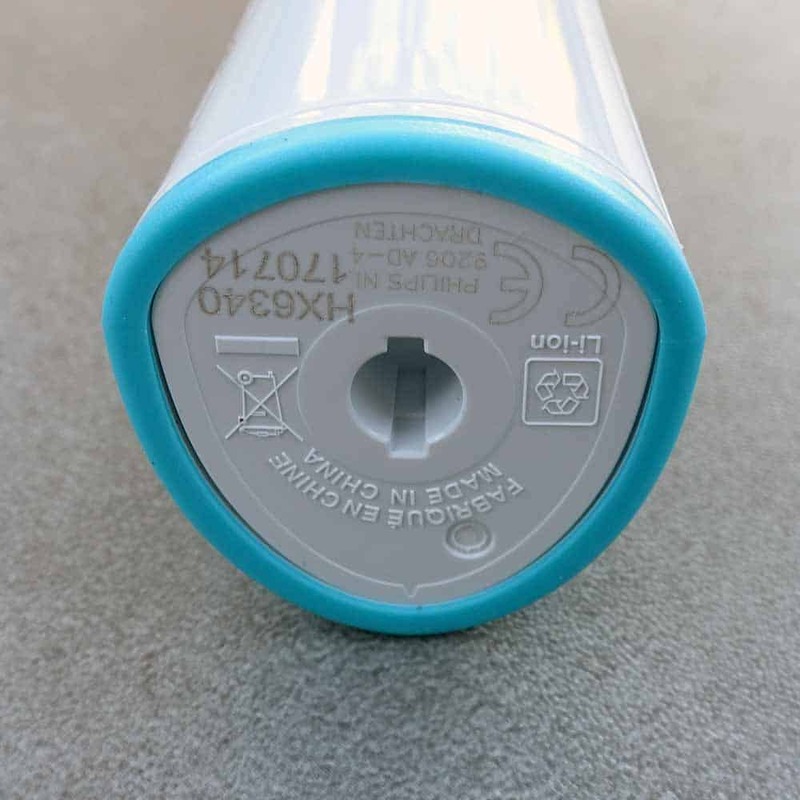 On the base of the brush aside from the regulatory information and product details that are printed, is a recess into which the prong on the charging stand that is provided fits. 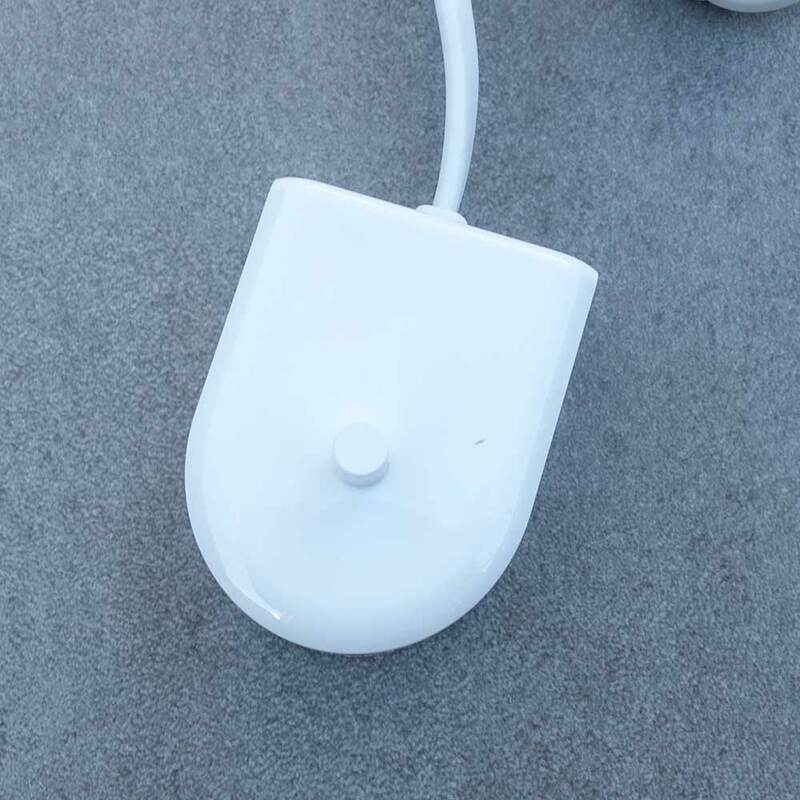 Thanks to inductive charging, the battery inside the brush charges without having to physically connect a power cable to the handle itself. Lithium-Ion is the battery technology used and it is possible to get up to 3 weeks use from the brush in between charges. More on this in the battery section of the review. Provided in the box are 2 brush heads, there is a compact and standard sized head. If the names don’t give it away, they are different sizes. This brush is designed for children age 3 years old and upwards, and as such the smaller brush head will be better suited to the younger brush users. However, it is up to you or your child as to which is more comfortable or best to use. Typically, the larger brush head will work better for older children and adults if you chose to use this brush. Unlike the regular Sonicare brush heads, these are finished with a rubber coating that not only matches the colour scheme of the brush but makes it softer on the mouth and gums of children, than the normal plastic finish. A worthwhile point to note is that the full range of Sonicare brush heads fits onto this brush handle. You do not necessarily have to use those designed for kids. If you want to learn about the full range of brush heads, read our article Philips Sonicare Bursh Heads: The Ultimate Guide. The kids heads come in packs of 2. HX6032/36 is the official product code for the compact sonic toothbrush heads, whilst HX6042/36 is the official product code for the standard sized sonic toothbrush heads. Both packs have a retail price of £16. However our own research has shown that you can save a few pounds, and on average a replacement head works out at £7 each. This is virtually double the price of Oral-B equivalents. Replacing the head every 3 month’s is the recommendation. Unlike other brushes, there are no indicator bristles that fade over time to act as a reminder to change the brush head. However, the smartphone app (more on that shortly) does remind you, if you want it to. It’s a shame these are not included and is a bit of an oversight in teaching children about general oral health. To replace the head, you simply pull the head off and push it back onto the metal shaft that protrudes from inside the brush handle. As you might expect of a Sonicare brush, this provides an excellent clean to the teeth and it offers up to 31,000 movements per minute through the brush head. By pressing the power button on the front of the brush handle, the brush launches into a 2 minute cleaning cycle. As it is pressed, the LED icon on the button will light up Green. In the lower third of the brush handle is another button, this is the cleaning mode button. The brush offers 2 modes.Gentle and Extra Gentle. Gentle mode is the most powerful clean offered by the brush and is designed for older/independent brushers. The cleaning cycle is 2 minutes. Extra Gentle mode is a reduced power mode used for training and introducing children to the sonic experience. 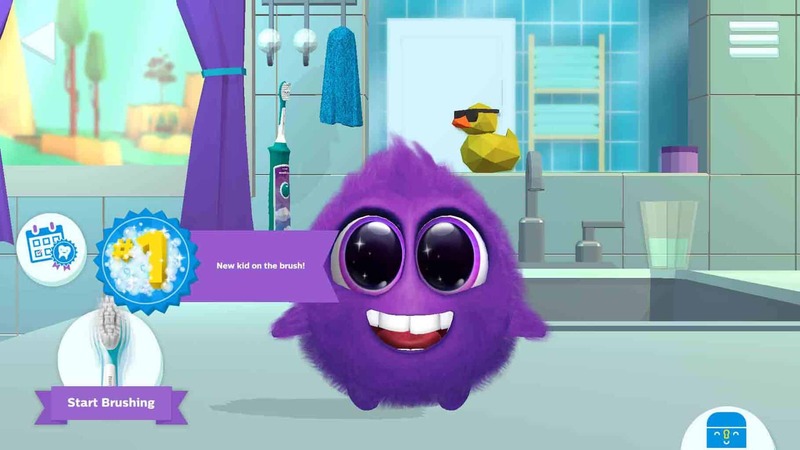 When in Extra Gentle mode, the brushing cycle is initially set at 1 minute and slowly progresses to 2 minutes over time, to help young children reach the dentist recommended 2 minutes per brushing cycle. This ramping up of power and brushing time is a feature known as ‘Easy-Start’ which is seen on many Sonicare brushes and makes for a more natural transition from a manual to a powerful sonic brush. This happens over the first 14 brushing sessions. You change the cleaning mode before you power the brush on. There is an LED either side of the button. The left LED when lit, shows that the Extra Gentle mode is selected. The LED on the right when lit, shows that Gentle mode is selected. Press the button just once to switch modes. You can’t change the mode when the brush is switched on. 2 minutes is the dentist recommended cleaning time and this brush has a built in timer to ensure kids brush correctly for 2 minutes. From the moment the brush powers on the timer begins working. 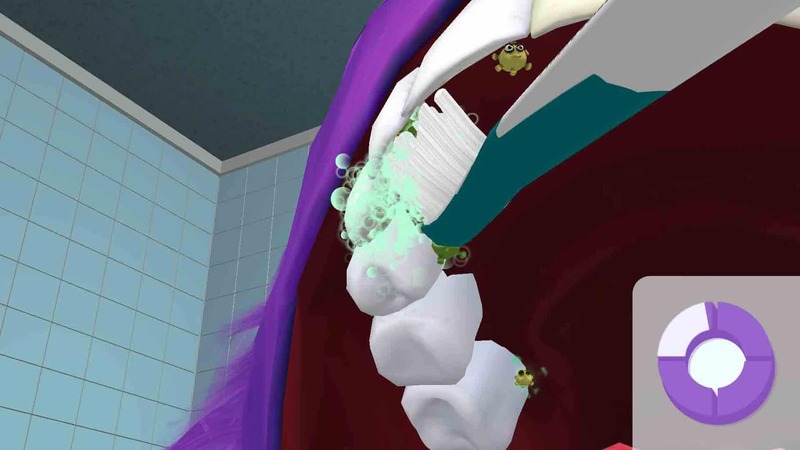 At 30 second intervals a sound is played to indicate it is time to change the area of the mouth that is being brushed. The mouth should be broken up into 4 sections, known as quadrants. You have the upper right, upper left, lower right and lower left. 30 seconds should be spent on each quadrant. The built in timer encourages this. At the end of the 2 minute cycle, the brush automatically turns off to signal the end of the clean and conserve battery power. A feature I love. 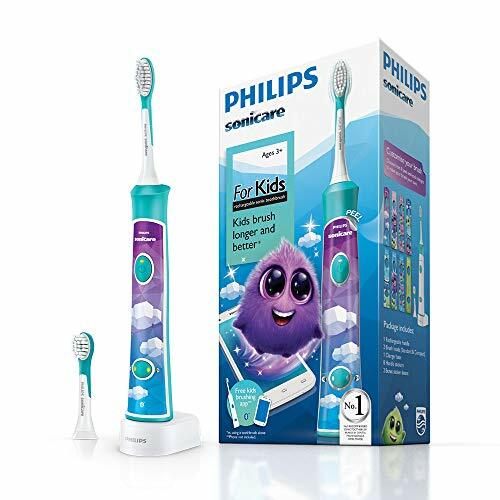 As if the brush was not already pretty good at encouraging your child to brush with the stickers, coloured handle and timer, the killer feature is the Bluetooth connectivity. 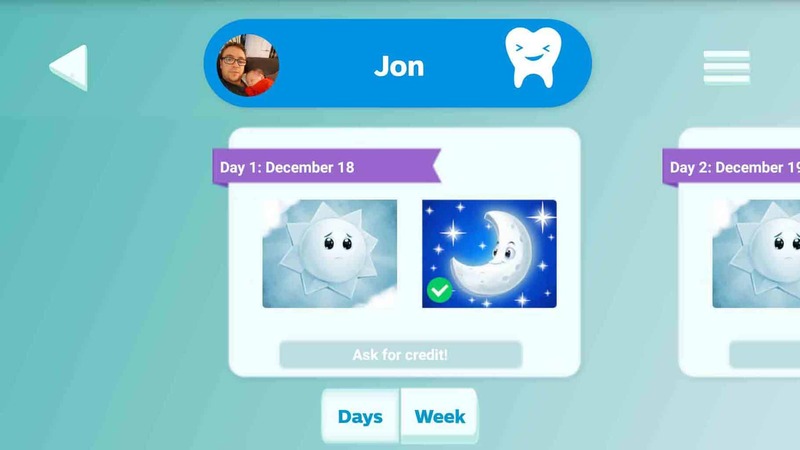 Download Sonicare Kids app from the Google Play Store or iTunes and the toothbrush connects via Bluetooth to your mobile device, be that a smartphone or tablet. Your mobile device must have Bluetooth 4.0 to work. 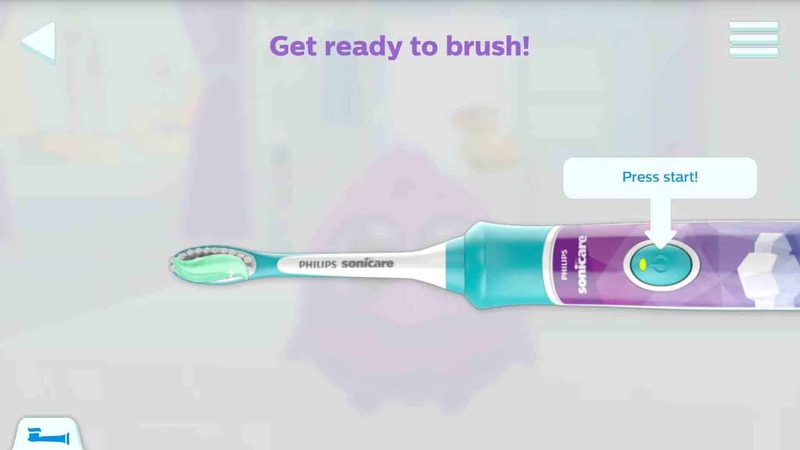 The principle here is that the brush connects to the app and provides an interactive on screen experience when brushing via a character named ‘Sparkly’. It is essentially a story based theme where Sparkly hatches and it is up to the child to take care of him. 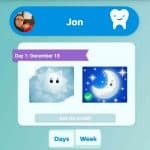 From within the app you create user profiles for each child that will use the brush handle and then as they brush on screen graphics and tutorials teach the child to brush correctly and for the right amount of time. The app monitors cleans and tracks performance for you to review if you wish. 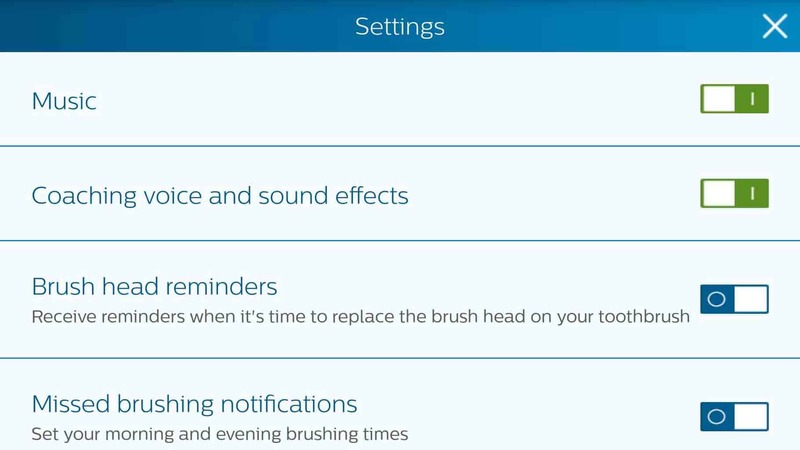 Because the brush is connected to the mobile device, it knows when it is switched off and encourages the child to brush for the full 2 minutes. Providing they do, they are rewarded with prizes within the app that allow them to customise and improve the experience, whilst being provided with educational tips along the way. Watch the following video to get a great insight into how it works. 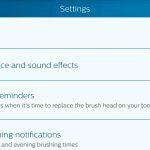 It is a well thought out app with settings parents can configure such as brush head reminders and notifications for missed brushing sessions. Living in a world where kids are exposed to a lot of interactive content, the app needs to be good and I believe this is extremely good with the Bluetooth being that extra safety net as it actually communicates with the app for a more accurate and real time user experience. The downside is your smartphone or tablet needs to be in the bathroom as your kids brush, a thought some may dread, but you may supervise them during this time anyhow. A smartphone or tablet stand to hold it at the ideal viewing angle would be useful, but no such solution is provided by Sonicare or other brands for this age group. 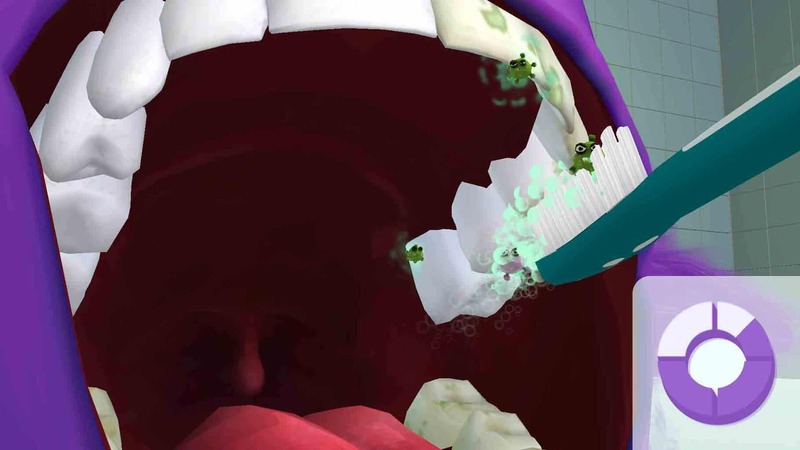 Kids love the interactivity and the story and it without doubt makes brushing fun and the children do pay attention and brush for longer with more smiles and less tears and tantrums at having to brush. You and your dentist will see the results. A feature that is missing, but it not essential is a pressure sensor. 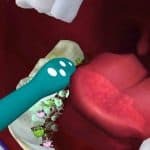 A well implemented sensor will light up and alert the brusher, in this case the child that they are brushing too hard and could be doing damage to their teeth and mouth. This is not a common feature on Sonicare brushes and I suspect left out as there are more important and valuable parts to the education programme on brushing teeth than pressure used, at this stage. The handle itself is waterproof and will survive a rinse under the tap. It should not be submerged in water though. A 2 year warranty is provided, should something go wrong. This does not cover user damage as you might expect. Provided in the box are small plastic travel caps that fit over the bristles on the brush head only to protect them when travelling. It would be nice if a more standard travel case was provided as this would not only protect the bristles but avoid accidental activation of the brush when in a bag. Not that a child is going to pack a toothbrush first, but if staying at a friends for example a proper case would protect the handle more. The provided caps are just too small and easy to lose. Inside the handle of this brush is the battery. It is a rechargeable Lithium-Ion battery and not a user replaceable battery. 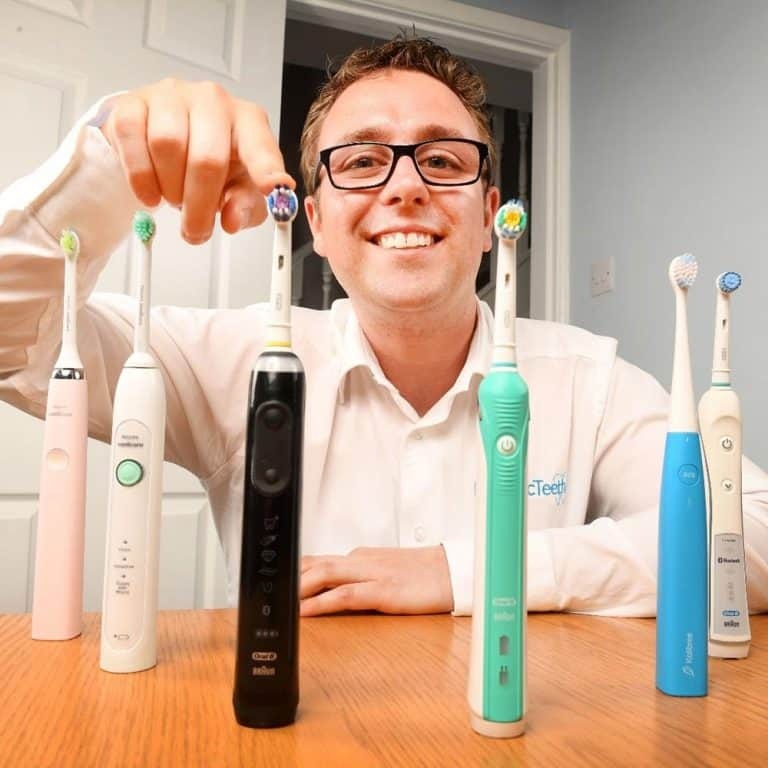 Sonicare claim up to 3 weeks battery life and our very own hands on testing confirms this. 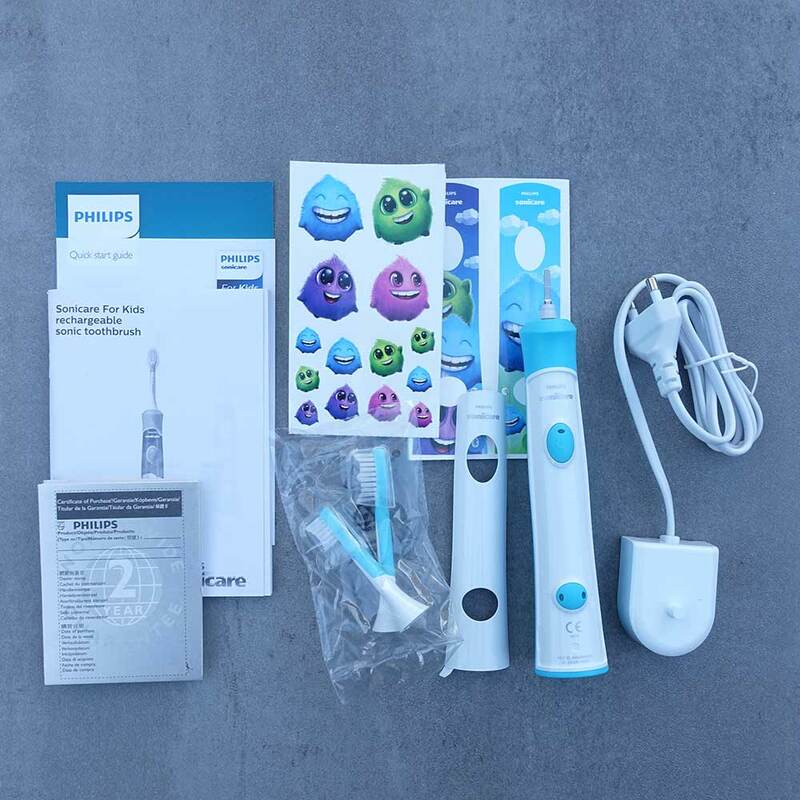 A total of 21 days of use, or 42 brushing sessions each lasting 2 minutes is possible from the Sonicare for kids connected handle, that is with the Bluetooth functioning. This gives a total of 84 minutes of use before the brush needs to be recharged. My own hands on testing surpassed this by a long way. 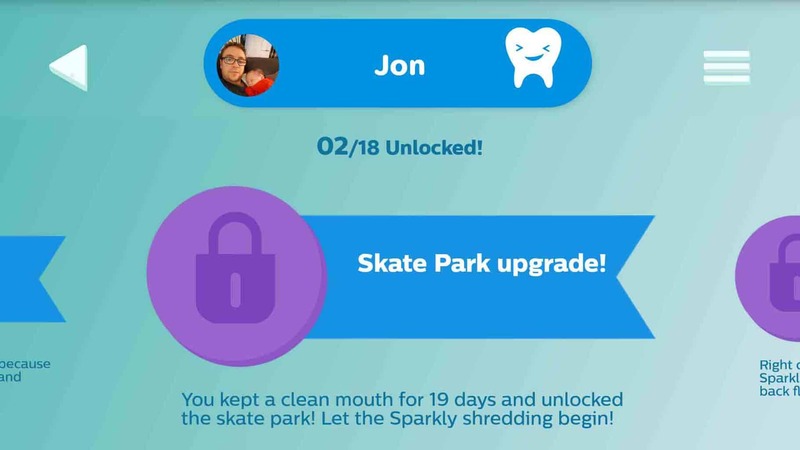 I achieved 138 minutes of usage time. That is 69 cleaning sessions, which is just shy of 5 weeks use before a recharge was required. Near enough 2 weeks more than Sonicare advertise. Do I happen to have a particularly good battery in this brush handle?! Whatever, I think it is safe to say you will easily enjoy 3 weeks between charges and quite likely longer. Supplied in the box is a charging stand, which the brush can sit on when not in use. It is perfectly fine to top the brush up and use it again before the brush is fully recharged, if required. A full charge can take up to 24 hours. The stand itself is White in colour and has a prong on the top of it that fits into the base of the brush handle. The handle will sit upright on the stand. Wired into the charging unit is a power cable that is about 1 meter in length and has a 2 pin connector on the end of it. This is not a European mains power connector, this is a 2 pin plug suitable for bathrooms in the UK. If your bathroom does not have a 2 pin plug, you will need to purchase an adapter to power the brush from the normal 3 pin socket found in UK homes. Thankfully, if you do travel and need to take the charger, you need only a plug adapter and not a voltage adapter as the charging stand itself supports voltages from 100-240v. The LED on the power button is what shows you the status of the battery. When turned on the LED will shine Green. When placed on the charging stand it will flash Green but stop flashing when the brush is fully charged. 2 beeps are also heard when the brush is first placed on the charging stand. If the battery power is low, that LED will flash RED for a full minute after a clean to show it is low and needs recharging. Should it be completely discharged a series of 5 beeps will be heard twice. The brush will not function and it must be put on the charging stand. 3 weeks is a good battery life and whilst the handle is larger than some of the alternatives, it is not excessively large to allow this. It is essentially 3 times better than an Oral-B offering. This is particularly useful as kids might not be too proactive at putting the brush on the charging stand regularly and as a parent you need worry a lot less of coming into the bathroom to find a flat/discharged brush. For some price may well be a very important factor in deciding whether or not this is the brush you buy for your children. 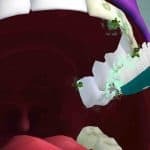 We all have differing viewpoints on what is cheap or expensive, but the cost of failing to invest in your child’s oral healthcare could be more expensive than any toothbrush. There is a growing problem of tooth decay in children of the UK and brushing regularly and correctly is an extremely powerful tool in reducing the chances of your son or daughter suffering from such. This brush will help with that. 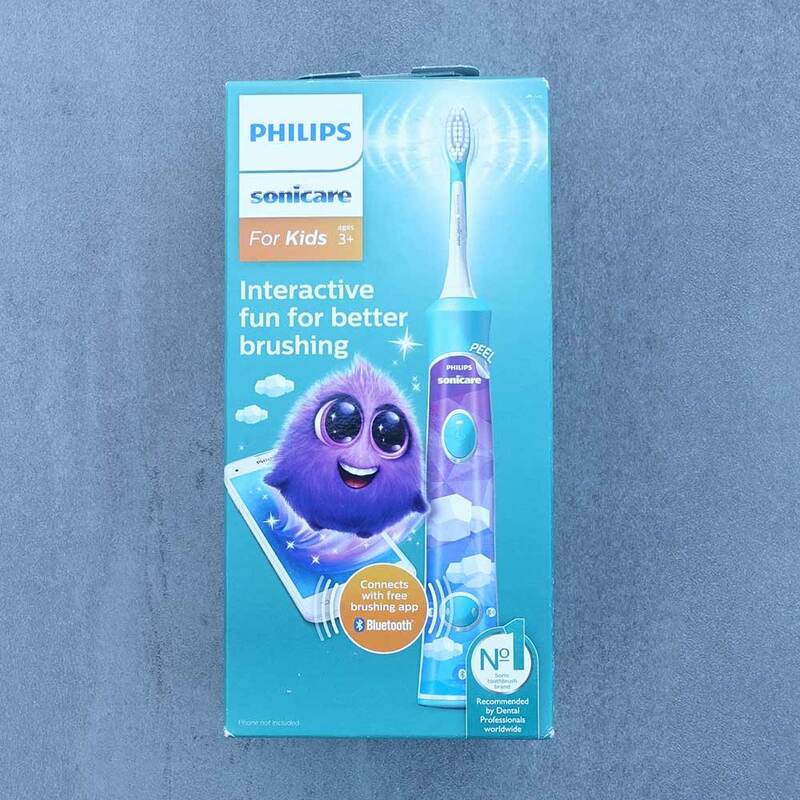 With a recommended retail price of £73, this is far from the cheapest electric toothbrush for kids, but is actually a little less than I had expected of a Sonicare product. Considering what it offers this could be deemed justifiable, albeit a stretch. The good news is that a more often than not this is being sold at prices ranging from £50-60 meaning at least a £13 saving. £23 saving if you get it for £50. It is logical to make comparison to Oral-B and even the non connected variant of this brush. Compared to Oral-B this is £30-£35 more expensive and this brush has a £20 premium over the non-connected version. Personally I think this is justifiable given what it offers. This brush is suitable for kids aged 3 years and up. The average life of a brush is 3-5 years, so when priced over this time the £20 premium is a small price to pay, if the brush works as well for your child as it has for me in my testing. One extra factor to consider here is the cost of brush heads. These need to be replaced every 3 month’s and the average price per head is £7. That is double that of an Oral-B equivalent. Assuming an average purchase price of £55 for this model, plus the cost of the replacement brush heads over 3 years, you are looking at a total outlay of £132, which is 12p per day. Sharing the brush handle with another child in the home is one way to get extra value from the brush. Of course you will need to purchase and use different brush heads for that child. Make your own decision, based on all the other factors presented here. But is this extra spend worth it to spare your stress and constant need to encourage your kids to brush?! Only long term testing can really tell how well a brush will last, but there is a limit as to how long I can test this for and also report back how well it performs. I have had this brush on test for a month and during this time I have not had any concerns or reason to question the reliability of this brush. At the hands of children a toothbrush like this is likely going to have a bit of a tougher life than it might if used exclusively by an adult. But, with the solid build and rubber grip the brush is protected as best as it can be from knocks and drops. Whilst the provided 2 year warranty does not cover user damage it does cover any mechanical faults that come as a result of poor workmanship or faulty parts. 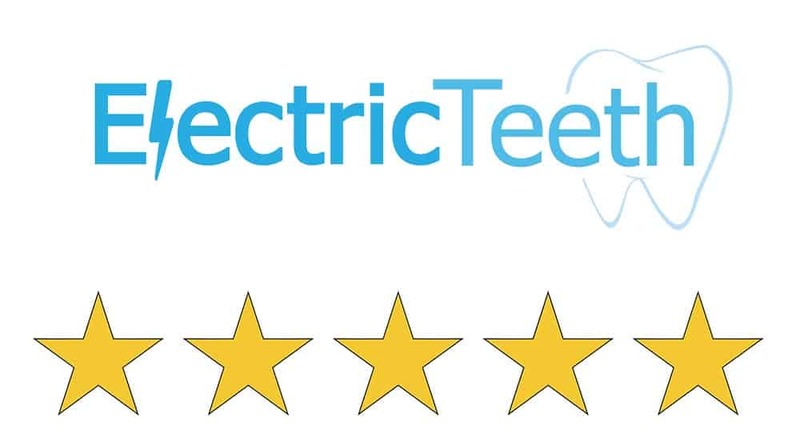 Typically Sonicare brushes tend to be very reliable and is most certainly highly praised for reliability and quality here at Electric Teeth and by our readers. I wish not to class the Sonicare for kids connected as perfect, but I have to say I think this is the closest you can come to it. My only real negative is the price, aside from the lack of travel case, and really when you consider it, it is not exactly extortionate, just a bit more than we would all like to pay. I can’t help but think this is a worthwhile price to pay to get your kids brushing regularly and for the right amount of time. 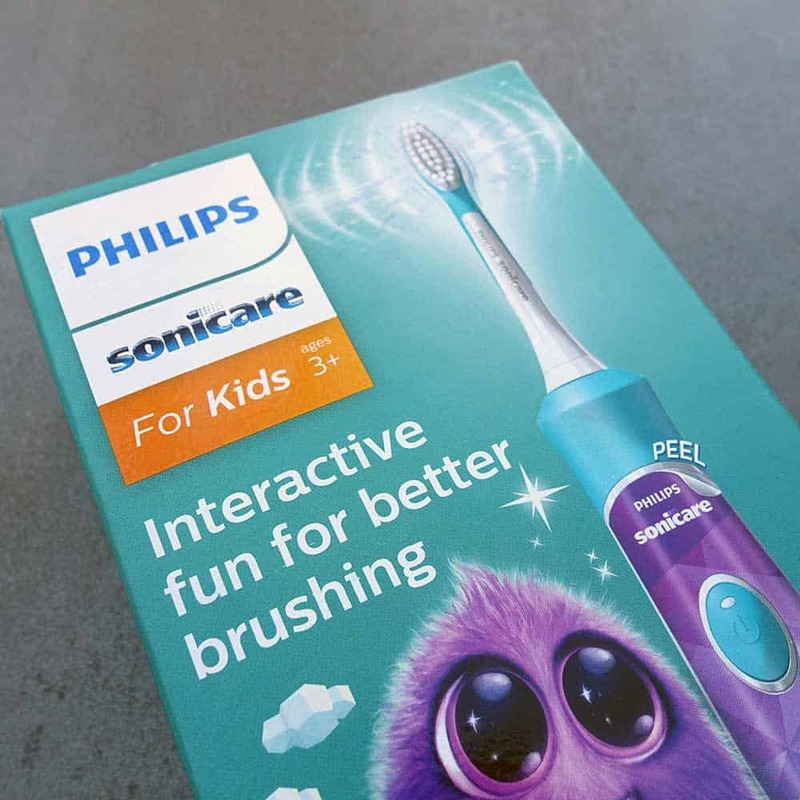 Sonicare have taken their experience in the electric toothbrush market to create a brush that ticks so many boxes for kids, parents and dentists. If you want an easier experience when it comes to brushing your children’s teeth, this is what you need. Is the Sonicare for kids connected an oscillating brush? With the brush you get a standard and compact sized brush head. These have been designed for children. These are the suggested heads to use and can be purchased separately as replacement for the brush handle. Sonicare adult brush heads, designed for adults do too fit on and could be used on this handle. Does the Sonicare for kids connected have a pressure sensor? No, it does not have a pressure sensor. Does the Sonicare for kids connected have Bluetooth? Does the Sonicare for kids connected come with a warranty & how long is it? If purchased new from an approved retailer the Sonicare for kids connected will come with a 2 year warranty. Does the Sonicare for kids connected have a built in timer? Yes. It has a timer with quadpacer. At 30 second intervals the brush pauses momentarily as a sign to change quadrant. At the end of 2 minutes, the brush automatically powers off. The battery lasts up to 42 minutes or 21 days based on 2 cleans per day. The Sonicare for kids connected charging station has not been designed to be fixed to a wall. Can I use the Sonicare for kids connected in the shower? No, there is no travel case included, travel caps for each brush head are. 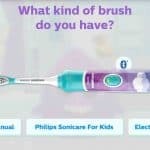 Do you own or have your children used the Sonicare for kids connected electric toothbrush?